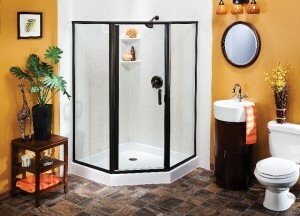 Are you considering remodeling the bathroom at your home in the Minneapolis, Minnesota, area? Hiring a company that isn’t skilled and knowledgeable to remodel your bathroom could result in damage to your home, so it’s important to choose an experienced company to handle the job for you. In addition to hiring a talented company to handle your renovation, it’s also important to hire a full-service company that can manage all of your bathroom remodel needs, from fixtures to plumbing. If you choose to work with a home improvement business that can expertly complete all of your renovations, it can really simplify the process for you. To hire an experienced, full-service bathroom remodeling company, turn to the experts at U.S. Patio Systems and Home Remodeling. We proudly serve homeowners in the Minneapolis, MN, area, and are confident that we can transform your bathroom into the space you have always dreamed of having. At U.S. Patio Systems and Home Remodeling, we provide a wide range of services to meet the needs of our clients. Our bathroom remodeling services include installing replacement tubs and showers, shower doors, flooring, cabinetry, sinks, toilets, walk-in tubs, and more. Additionally, we sell and install all types of bathroom accessories and fixtures, including safety grab bars, corner caddies, bench seats, recessed soap dishes, and so much more. If you would like to learn more about our bathroom remodeling company, contact U.S. Patios and Home Remodeling today. Our specialists are available to answer any questions you have and can tell you more about the services we offer to homeowners in the Minneapolis, MN, area.